I love this site!!!! Was so easy to search the houses and I love the images and the site layout. Fantastic! I've used other villagers sites and they were so hard to search and it took forever to go through the listings to find a rental. I found the perfect villa for next season and booked it. Will recommend this site to everyone I know! Took advantage of a free trial subscription and 3 days after setting up my listing, I got a renter for 3 months in 2020! i signed up right away for a full year! this site is well worth the low subscription cost. Keep up the great work! I've never rented my house before. Called Mark. He patiently guided me through the process and helped to make sure that I had everything covered. I listed my villa and 2 days later, had a 3 month rental! I can't thank you enough! Such a great website! So much easier to search for a rental than others and I love that I can zoom in and make the pictures larger! This is the BEST rental home classified site for the Villages! OVR, just wanted to let you know that we have sold our home in Osceola Hills at Soaring Eagle. Therefore, I will no longer need your service. May I just say how excellent this website has been for us! Let me know if there's anything else I need to do. Just have to say "Thank you" to the homeowners who responded. We found our 2018 rental and book Jan-April. We also talked to Matt and he was great help telling us about the different areas and home styles. 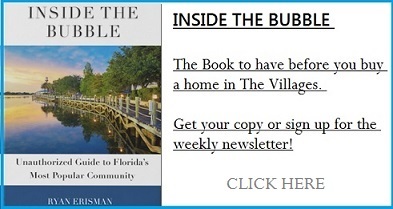 We look forward to our 2018 Winter in The Villages and are excited to see what all our friends are talking about. Just have to say that this is a FANTASTIC resource if you are looking for a rental in The Villages Fl. Even spoke with the manager of the website to ask about a rental and he was very courteous and helpful.